Minister for Industry, Science and Technology, the Hon. Karen Andrews released the paper saying it identifies where Australia’s efforts should be focused in the years ahead. "Australia’s Tech Future sets out the opportunities and the challenges in maximising the benefits on offer. It highlights the significant work already happening across Government and identifies further action required to ensure all Australians can thrive in a global digital economy." The strategy paper delivers analysis of the future direction required, but much of the content outlines Government initiatives already in place. It does not provide any timeframe, list of priorities, nor set any empirical targets. As a result, the document has been roundly criticised by Shadow Minister for the Digital Economy, Ed Husic. “To sneak out a long-promised strategy within a breath of Christmas tells you how seriously the Coalition takes this issue. In a combined statement, Husic and Shadow Minister for Communications Michelle Rowland described the government as being as being “announcement addicted and performance deficient” in its approach to digital innovation. Where has the digital economy strategy come from? The strategy was first promised in 2017 by then Innovation Minister, Arthur Sinodinos. It has been developed over the last 15 months after consultation with business leaders and academics. The paper replaces the existing digital economy strategy, which was last revised in May 2016, after first being released by the, now defunct, Department of Communications in May 2011. The 51-page document provides an excellent overview of the current digital environment and details 150 existing Government programs, policies and initiatives already in place. However, it falls short on actual recommendations, goals or targets, and under the Implementing The Strategy chapter falls back on headings like "we all have a role to play" and "this is an ongoing conversation". Despite the lack of measurable goals, the document still delivers a large amount of interesting content around the Government's view of future requirements, and the current strategies that are in place. Individuals need to shift their thinking from having a ‘career for life’, to maintaining the skills needed to adapt to changing opportunities, says the paper. Department of Education and Training statistics show that approximately 5,500 Australians graduated with an ICT degree in 2016. However, the paper quotes statistics that more than 90% of Australians will need to use some level of digital skills at work within the next five years. Occupations that require digital skills are already no longer just traditional ICT roles. For example, people in marketing and sales now also need data analysis skills and digital design skills. To maintain a skilled workforce that can keep up with rapid technology change and seize job opportunities, Australia needs to establish a culture of lifelong learning that provides us with access to flexible learning options. The Government utilises the Australian Digital Inclusion Index (ADII) to measure three dimensions of digital inclusion: access, affordability, and digital ability. The 2018 ADII reports that overall levels of digital inclusion have improved in Australia across all demographics over recent years. However, this increase has been uneven between groups, with slower growth rates among Indigenous Australians, older Australians and those with low incomes, education and employment. The Universal Service Guarantee, which has been established to ensure all Australians have access to voice and broadband services into the future, regardless of their location. The Guarantee will be underpinned by the rollout of the NBN, which will mean that all premises will have access to fast, affordable broadband by 2020. $9.1 million over 4 years from 2017-18 for a telehealth initiative to help rural and regional communities access psychologists and health professionals via video consultations. yearly funding through the Telephone Allowance requiring Telstra to maintain the Low Income Measures Assessment Program designed to assist people on a low income, or facing financial hardship, maintain telecommunications access. 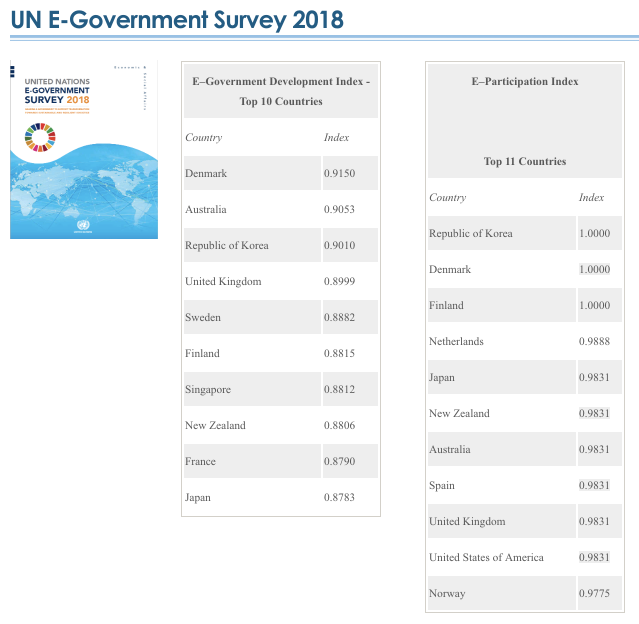 The strategy paper points out that Australia is ranked second in the world in the 2018 United Nations e-Government Development Index. The Index measures countries’ use of information and communications technologies to deliver public services. The Index captures the scope and quality of online services, status of telecommunication infrastructure and existing human capacity. Millions of Australians are already securely accessing a range of government services online everyday through platforms such as myGov. These services include myTax (ATO), Medicare rebates and a range of Centrelink claims and benefits. Key focuses are now on building trust and improving processes says the strategy paper. The most obvious requirement of digital infrastructure is having reliable and fit–for-purpose mobile and fixed phone and broadband services. Australia is meeting this need by the rollout of the National Broadband Network and is moving towards 5G as the next step in the evolution of mobile technology. build a network of ground stations to provide GPS data with an accuracy of 3-5cm in major population centres. 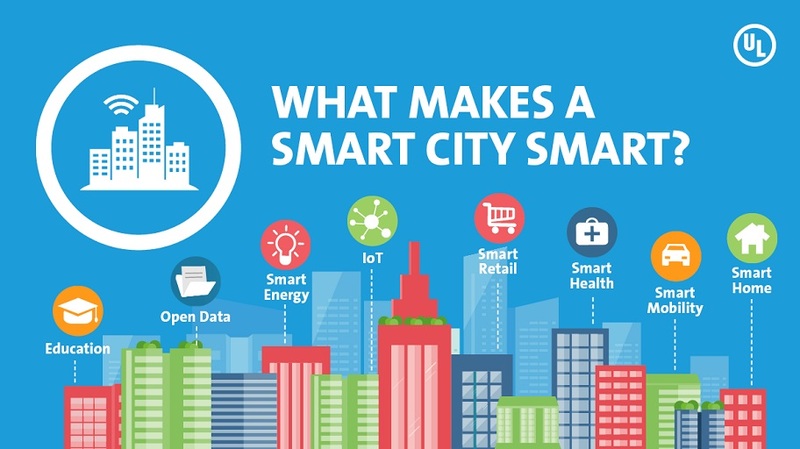 The Government has also invested in the Smart Cities Plan. It sets out the Australian Government’s vision around three pillars: Smart Investment, Smart Policy and Smart Technology. Data science is becoming an area of competitive strength for Australia. Data61, part of CSIRO, is home to more than 1100 staff, including over 415 PhDs, focused on data science, engineering and design. As the data revolution continues, Australia has an opportunity to build on these strengths. Australia has a great opportunity to capitalise on its world-class satellite imagery data through the Digital Earth Australia program. Satellite imagery data was previously only available in archives and to big business. Making that information available through a smartphone gives anyone access to 30 years of satellite images over any location in Australia. This data can be used to build new products and services for commercial purposes, and to interpret and analyse changes to Australia’s physical landscape. This creates a wealth of opportunities in land planning, agriculture, mining, environmental analysis and research. Eight in 10 Australians access the internet daily and have social media accounts. Most do not read online privacy policies or adjust their privacy settings. Meanwhile, cybercrime is currently estimated to cost Australians more than $1 billion each year. In 2016, the Government released Australia’s Cyber Security Strategy. The strategy includes investments of more than $230 million across five themes of action for the period up to 2020. The Academic Centres of Cyber Security Excellence (ACCSE) is one initiative under the Cyber Security Strategy. It aims to address the national shortage of highly-skilled cyber security professionals by encouraging more students to undertake studies in cyber security and related courses. The Government is providing funding of $1.9 million over four years (2016-17 to 2019-20) shared equally between the University of Melbourne and Edith Cowan University to assist with establishment and operation of their ACCSE. A one-size fits all traditional regulatory approach does not work says the strategy document. 'Getting regulation right where it is needed can be challenging. It’s hard to predict how new technologies will be developed and applied, and change happens quickly. This makes it hard for regulation to keep up," the paper admits. The Government is also working to address the challenges the digital economy presents to the tax system. Much of the current international tax framework was developed in the 1920s, and is based on the location of physical assets and income sources. With businesses operating in a global market and may not have a physical office in Australia, the tax system needs to evolve. Gartner: Digital Optimisation or Digital Transformation?